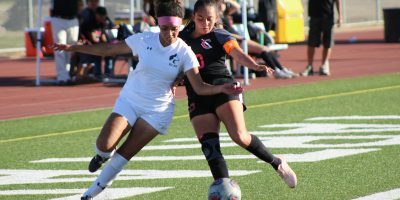 Women’s soccer playoff hopes come to an end after a 4-0 loss against undefeated conference rivals Chaffey College in an away game on Friday. 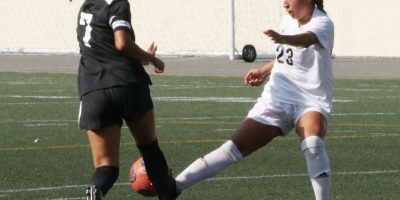 Defensive tactics allowed women’s soccer to tie 1-1 away against an offensive Rio Hondo College on Friday. 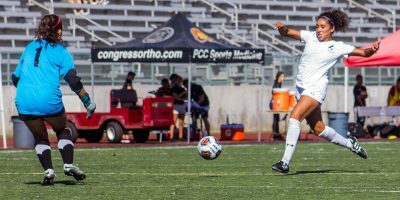 Women’s soccer is on a three-game winning streak after defeating Compton College 5-0 away last Friday. 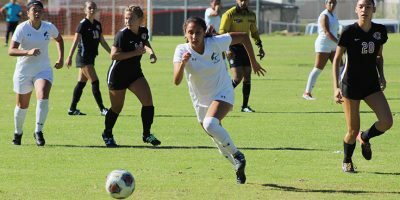 With a hat-trick from East Los Angeles College freshman forward Perla Navarro, women’s soccer defeated Pasadena City College 3-0 on Friday at Robinson Stadium. 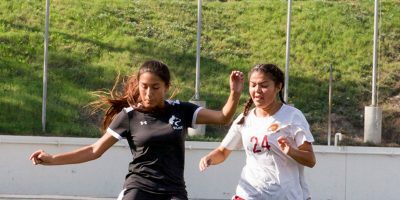 ELAC freshman midefielder and Rio Hondo College freshman forward Serina Vargas fight to recuperate the ball yesterday at Weingart Stadium.